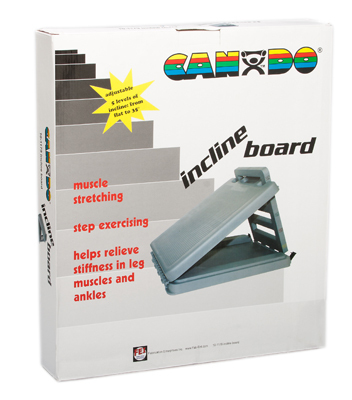 Incline boards are used to increase extension in the lower and upper back while stretching the calves. Boards have non-skid top. 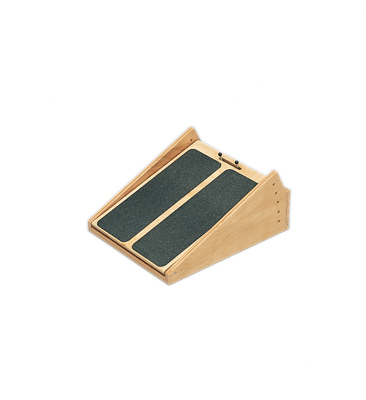 Dimensions: 14" x 3" x 14"
Adjustable angle wooden incline board has 14" x 18" foot board with non-slip tread. Has positive lock adjustment handles. Angle of inclination varies from 5° - 10° - 15° -20° - 25°. Non-slip bottom surface. Natural finish. Dimensions: 14" x 8" x 18"
Progressive fixed wooden incline board set measures 16 1/4" wide x 60" long when fully assembled. 4 units are each 16 1/4 wide x 15" long with non-slip treads. 1 unit each with a fixed angle of 15° - 20° - 25° - 30° incline. Natural finish. 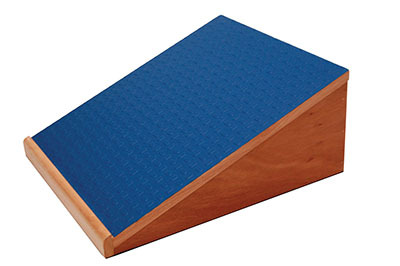 Dimensions: 16.25" x 8" x 15"
The Slant Board is a simple yet highly effective for controlled stretching of the calf muscles at the back of the lower leg. It is ideal in aiding in the rehabilitation of Achilles tendon injuries, shin splints, calf strains and other lower leg injuries. 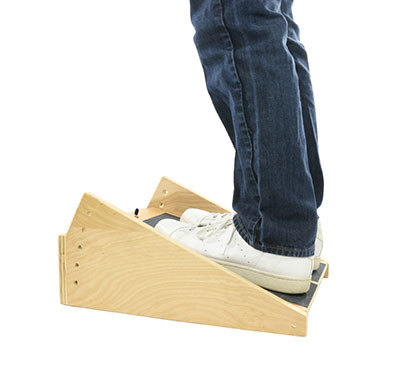 When both feet are placed on the Slant Board, you can quickly tell if one leg is tighter than the other which could be a possible imbalance and injury risk. The Slant Board is made of FSC Certified Eucalyptus Wood, coated with anti-humidity paint and sealer and topped with non-slip corrugated rubber.It has a 20 degree incline and 300-pound weight capacity. 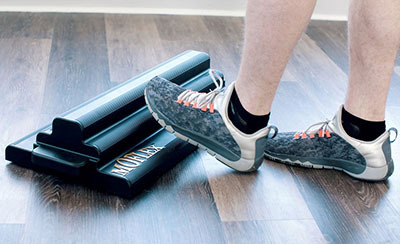 Ideal to aid in the rehabilitation of Achilles tendon injuries, shin splints, calf strains and other lower leg injuries. 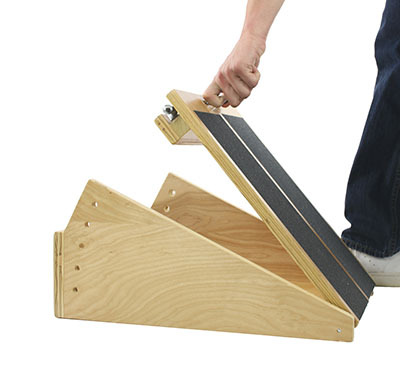 Another advantage of the slant board is that when both feet are placed on it then you can quickly tell if one leg is tighter than the other which could be a possible imbalance and injury risk. 300 lb. weight capacity. Dimensions: 15 x 14 x 6.5""H Approx. 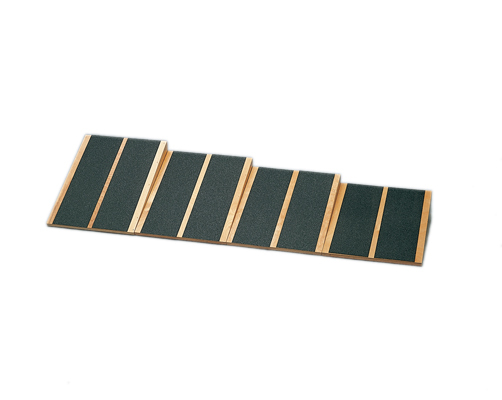 20 degree incline Slant Board is made of FSC Certified Eucalyptus Wood, coated with anti-humidity paint and sealer and topped with non-slip corrugated rubber. 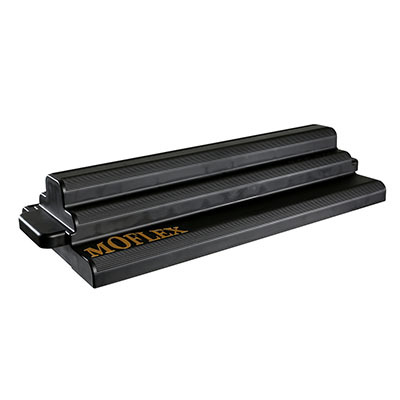 Dimensions: 14" x 6.5" x 15"
Moflex makes it easy for people of all ages to improve their strength and flexibility. It re-establishes proper range of motion and ensures proper weight loading through its 4-gait point technology. 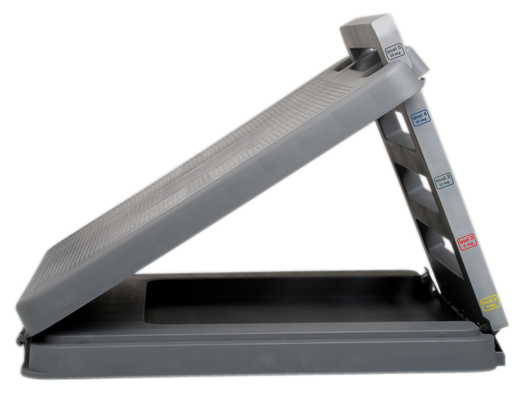 The Moflex's Pyramid Release Technology™ is designed to improve performance in the user’s feet and ankles. The four angles of the Moflex changes by foot placement. No adjusting or multiple angled units required. 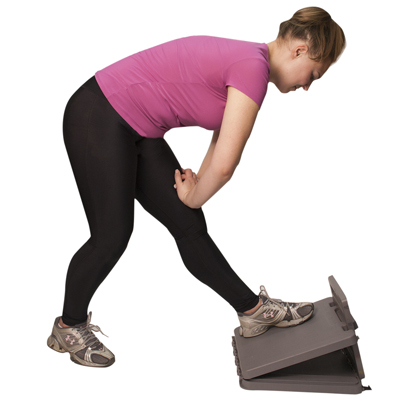 It allows for arch elasticity which is essential for dynamic movement. It also reduces the stress and pressure that travels throughout the lower body resulting in foot, knee, hip, and lower back pain. 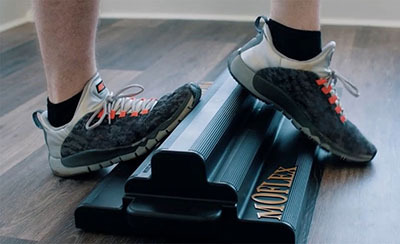 Moflex is a breakthrough solution for people who want to stand, walk, run, exercise, or play their favorite sport better and pain free. Dimensions: 26.84" x 4.86" x 12.25"